Working together we will make the shared ride service successful for a safe and accessible community. 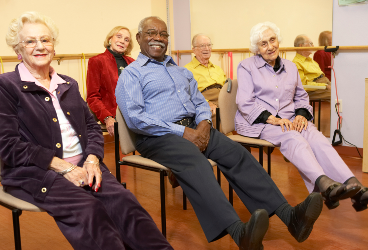 Are you eligible to use DARTS Services? Take a look at the new fare prices. View them using the "More info" link below. For Passengers and Common Locations. Contact DARTS to access online services for passengers and common locations. 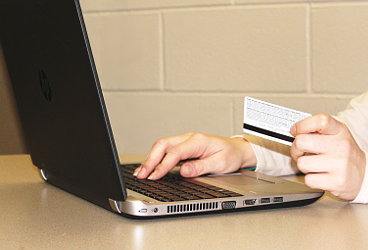 Our Clients can pay their invoices online using debit or credit. The payments are processed by Moneris using the latest security technologies. Use our online tools to book a trip or cancel an already booked one. Passengers who access our services on a regular basis are able to send requests to create, modify and delete subscriptions. Contact Passenger Services and sign up to receive a phone call 10 minutes prior to your vehicle’s arrival time. Management staff and subcontractors can access other solutions designed to improve the quality of service. Take one of our quizzes designed to test your knowledge. Please contact Passenger Services for your lost and found questions. Next Bus displays up to the minute details for high volume user locations. DARTS is a non-profit, charitable organization that provides specialized transit service in Hamilton. DARTS is a door-to-door transportation service employing wheelchair accessible buses, vans, MVs and contracted taxi services when appropriate. DARTS works under contract to Accessible Transportation Services (ATS), a department of the Hamilton Street Railway (HSR). 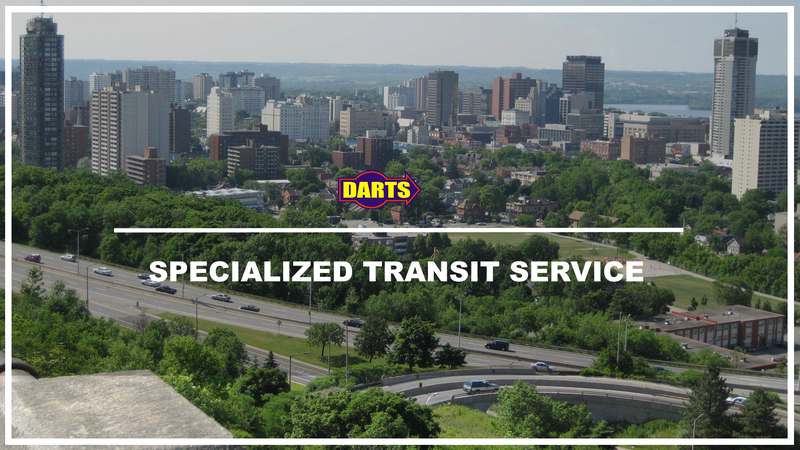 ATS is responsible for the overall delivery of specialized transit services to the citizens of Hamilton and registration for DARTS must be made through ATS. 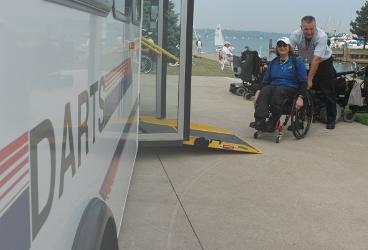 DARTS service is available to persons with disabilities who are unable to access regular transit service. The service is also available to qualified residents of other municipalities while they are visiting the City of Hamilton. DARTS is a shared ride service. Working together will make the shared ride service successful. DARTS is a leader in providing specialized transit for a safe and accessible community. 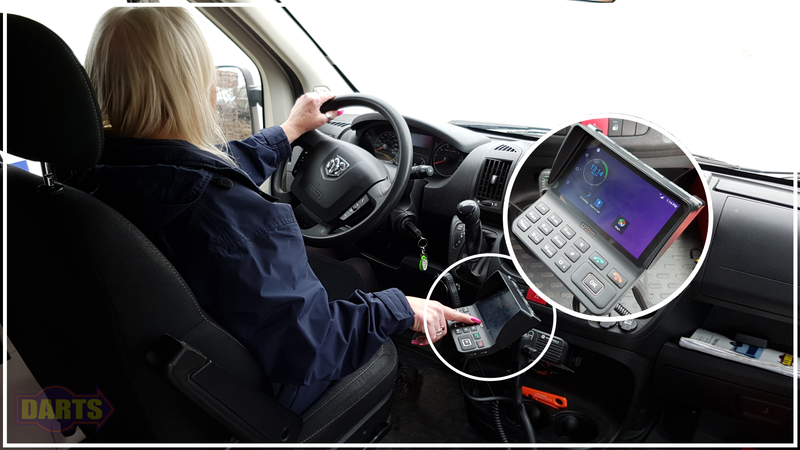 DARTS is committed to providing a safe, high-quality, cost effective and customer-focused accessible transportation service. or click below for more details. 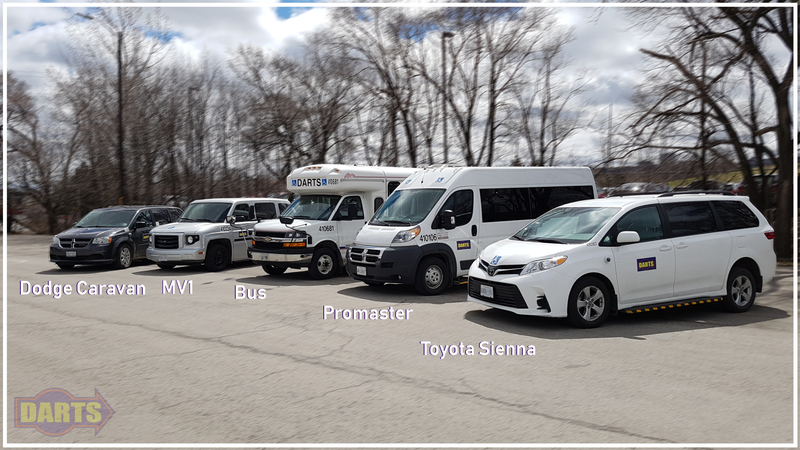 DARTS is a non-for-profit Paratransit service, governed by a Volunteer Board of Hamilton citizens, and Ex-Officio Members of Public Works and Council. Would You Like to Work At DARTS? DARTS regularly hires for several positions. Drivers, Cleaners, Logistic Specialists and more. If interested, please submit a resume. We will keep resumes on file for 6 months. All submissions will be considered, but only applicants with relevant qualifications will be contacted for an interview. Excessive and late cancellations are wasteful and negatively affect service. Please keep the number of cancellations to a minimum and remember to call us as soon as possible if you are not going to use your ride. The safety of our passengers and drivers are of the utmost importance. We have rules in place to ensure the safety of everyone. Snow day closures will be advertised through the media and on the DARTS website. Snow days are only called when weather conditions have made travelling unsafe for drivers and passengers.